In Today world Learning is no more Shrink in classes and Schools, it has now expanded in such a way that you can learn anything from anywhere just sitting in your room,this has made possible because of e-learning. lets see what is e-learning and some of its feature’s. 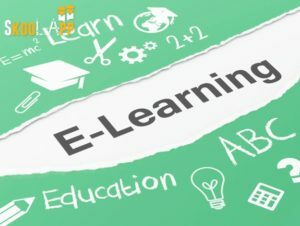 E- Learning, is all about learning process using electronic media, whether it’s pdf text file, video, live session or any other format available online. It is the new way of educating yourself or others, which is becoming popular day by day because of its flexibility and ease of use. 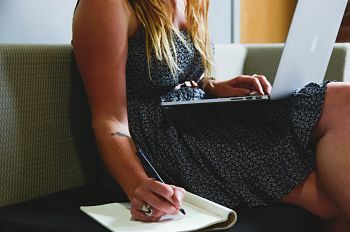 Suppose a student or a regular employee working with an organization want to grow their skill or educational qualification, but doesn’t have that much of time to go for the classes, then E learning is a good option for them to consider. e-Learning is very straightforward. E-Learning is getting further encouraged by internet and mobile device advancements. Both of these advancements have really taken educational programs outside of a customary classroom. By and large, any course, program or degree can be conveyed totally on the web. collaborating/speaking with you and reviewing your interest, your assignments and your tests. 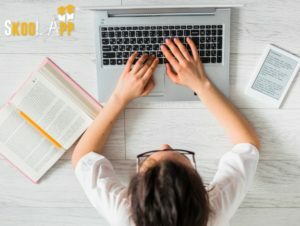 eLearning has been turned out to be an effective technique for preparing and training is turning into a lifestyle for individuals all over the world. Besides providing ease of study in your own time, eLearning also has profound impact in developing countries. There are several countries in the world which can’t afford to have schools in every locality. To overcome this issue, several countries are using eLearning techniques. They provide eLearning points for children to gather and just one instructor can help 100s of students learning on the web. Education is the basic right of each and every child. eLearning is proving its value in fulfilling this dream. Several educational and technology companies are taking several initiatives privately as well as with the government collaboration. SkoolApp is one such initiative and has been proving very successful and very helpful to society.